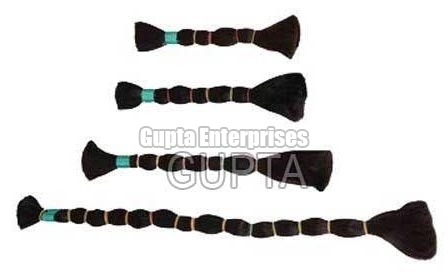 Clients can avail superlative quality Double Drawn Black Hair from us at competitive prices. Lice, dandruff and split ends free natural human hair is used to make the Double Drawn Black Hair. The Double Drawn Black Hair is voluminous, lustrous and tangle free. Further, so as to meet the varying requirements of clients, we offer the Double Drawn Black Hair in different styles and lengths.